Windows Media Player is no longer an essential addition to Windows and there are quality third-party alternatives, such as VLC Media Player. 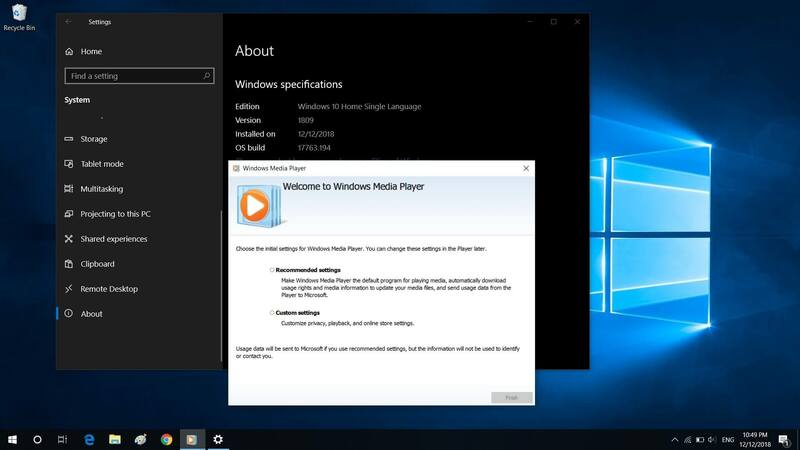 Microsoft’s offers the Films & TV app in Windows 10 as an alternative to Windows Media Player, but the legacy player remains the default player on Windows 7 devices. Today, we spotted a new support document which was quietly published yesterday and it has revealed that Microsoft is retiring a feature that is being used in Windows Media Center and Windows Media Player. According to the support document dated January 26, 2019, Microsoft is retiring the ability to view information (metadata) in Windows Media Player on Windows 7 PCs and Windows Media Center on Windows 7, 8.1 and 8 PCs. Windows Media Player remains unaffected from this changes on Windows 10 devices. Microsoft says that you can no longer view information (metadata) such as the title, genre, and artist for songs for movies in Windows Media Center and Windows Media Player. Microsoft is discontinuing this service after analyzing the feedback from consumers and the usage data. “This means that new metadata won’t be updated on media players that are installed on your Windows device,” Microsoft explains. However, for some reasons, the feature appears to be still available on PCs running Windows 10. It’s important to note that any information that has already been download won’t be removed and this change apparently doesn’t affect any key features such as playback, media streaming.